Laid back + happy: check. Stylish but approachable: check. Giant Disney fans: check! 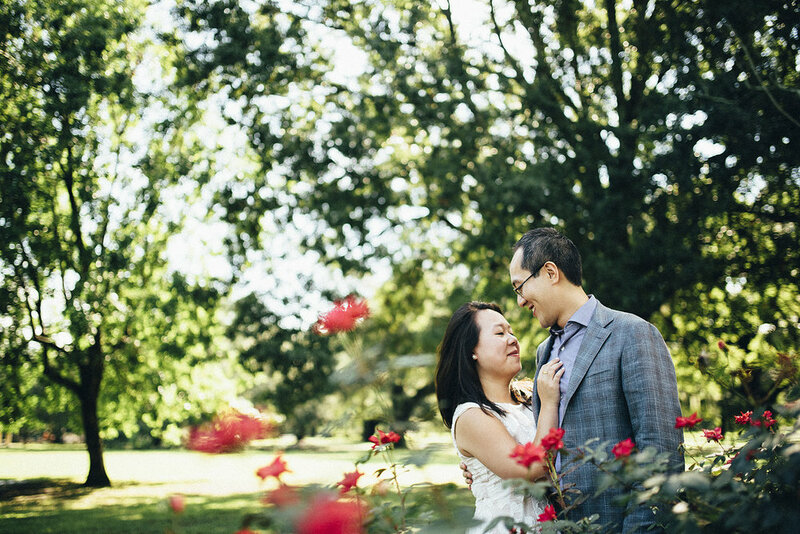 Katie + Clarence came to me for the Engagement Photos just a few weeks ago and I am so glad. 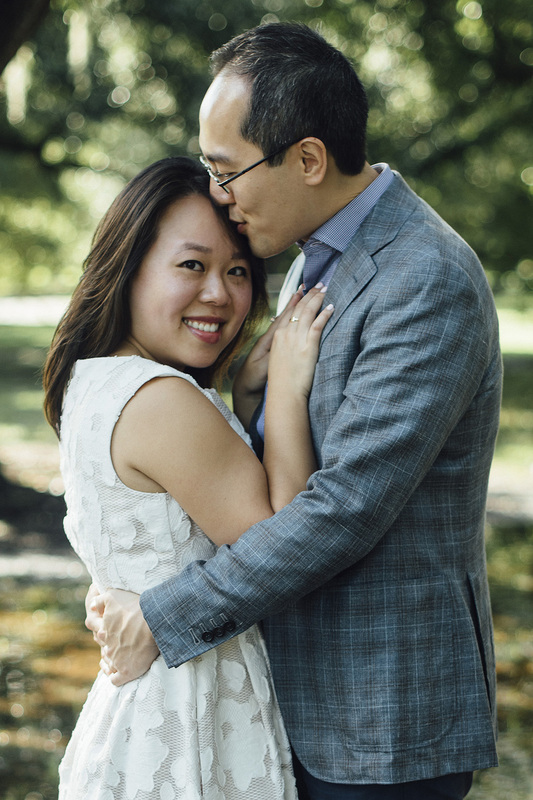 We had a string of rainstorms the days leading up to their shoot so Audubon Park was a soppy wet mess. They weren't afraid of a little mud even in their Sunday dress. 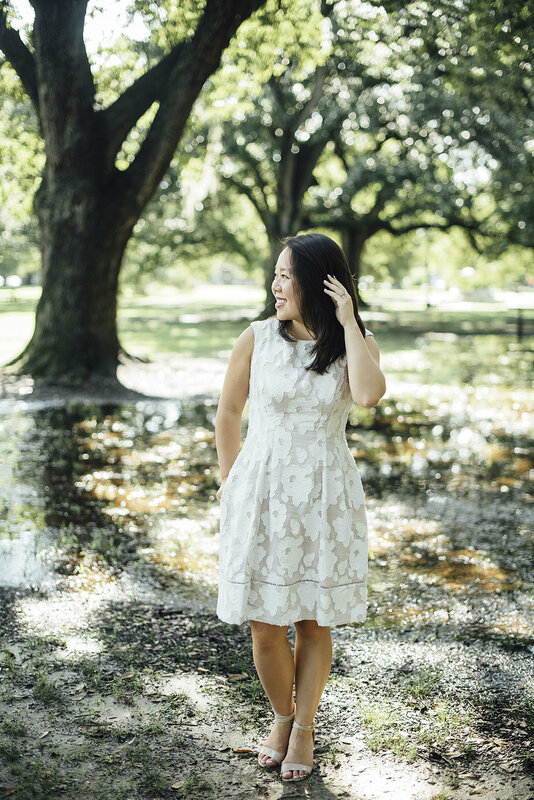 It was a beautiful morning spent together laughing, talking about their relationship, and enjoying the soft humidity of August in New Orleans.